Bathroom supply, design and Installation in Gravesend, Kent. Are you interested in having your bathroom refurbished? Or maybe even a new bathroom created in a different space? You may have an idea of what you want, but don't know where to go from there. That's where we can help - we specialise in bathroom refurbishments and installations. The bathroom is a space that’s evolved over the years. In bathrooms of the past, it was all about the basics, a bath, toilet and basin. But today homeowners have choices — lots of them — and plenty of places to look for inspiration. There are now options such as luxury walk in wet rooms, under tile heating solutions to provide toasty floors, and digital smart showers. Of course, endless choices and inspired ideas require additional thought and planning. Not to mention the fact that so many homes have more than one bathroom now. What you want (and need) in the en-suite will likely be very different from the family bathroom. From small cloakroom toilets to large family bathrooms, we have the knowledge and expertise to guide you through the process. It begins with an initial visit with you to discuss what you're looking for and what can be done with the space. It is important for us to provide the best possible layout with the room we have to work with, whilst keeping within your budget. A detailed quote is provided explaining exactly what work will be carried out and an estimated timescale of the work. We can also provide 3D renderings of different layouts and styles for you to see, which helps you to visualise the finished project. Why choose Quality Plumbing to fit your new bathroom? We have tons of experience with designing and installing bathrooms, so you know you’re in good hands. We’re confident in our skills and proud of what we do and we have great reviews to show that our customers feel the same! Every bathroom is different, having different space availability, needs and design preferences. Because of this, we design each bathroom as an individual, taking into account what the room will be used for, and who it will be used by. We will keep you up to date with our progress, every step of the way, from designing right until the finishing touches. We take care of the heating, plumbing and electrics, so you’re left with a working bathroom to use straight away. 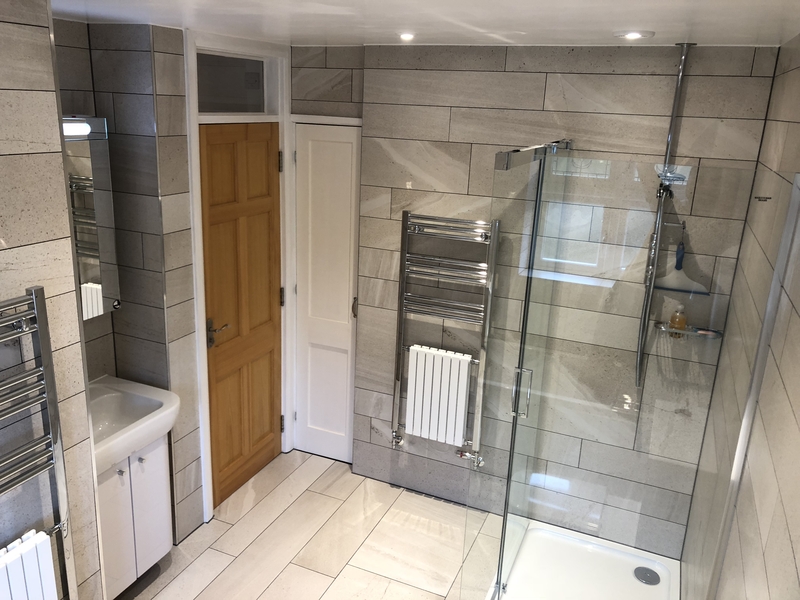 We offer our bathroom design and installation service in Gravesend, Northfleet, Greenhithe, Longfield, Cobham, Meopham, Dartford, Bexley, Sidcup, Orpington and surrounding areas. To get in touch- give us a call on 01474 748 352 / 07872 588 240 or email us at info@quality-plumbing.co.uk. Alternatively, fill out the straightforward contact form on our website and we’ll get back to you as soon as we can. While you’re there, feel free to check out our gallery to see bathrooms we've designed and installed in the past. We know you’ll like what you see!